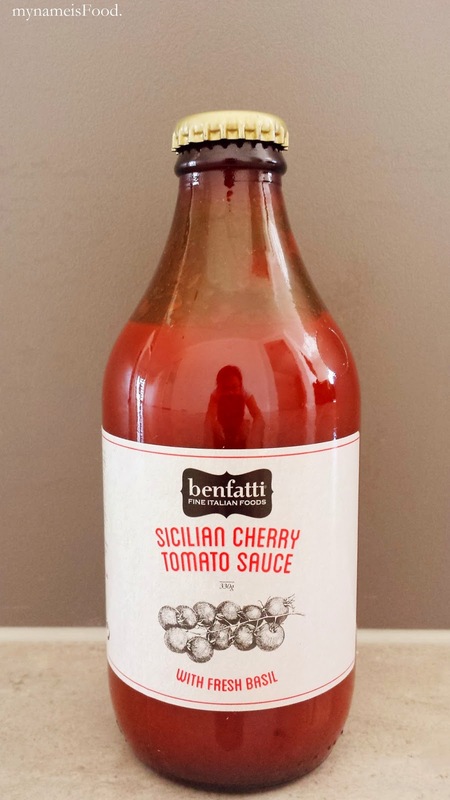 Benfatti Fine Italian Foods' Sicilian Cherry Tomato Sauce Review + Recipe - my name is Food. Benfatti is a family run business sourcing Italian products made by Artisan Italian families delivering them to Australia wide. 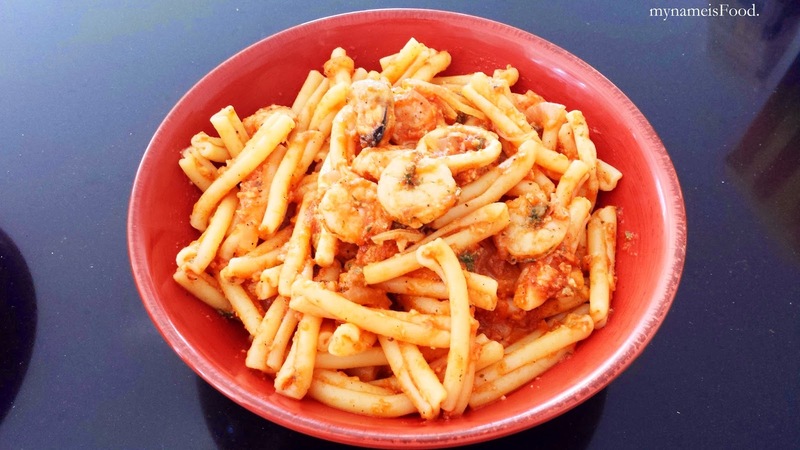 Their products includes Sicilian Cherry Tomato sauce with fresh basil, various Italian rices (Vialone Nano rice, Carnaroli rice etc), Virgin Olive oils, Sicilian pastes, Balsamic Vinegar and so much more. 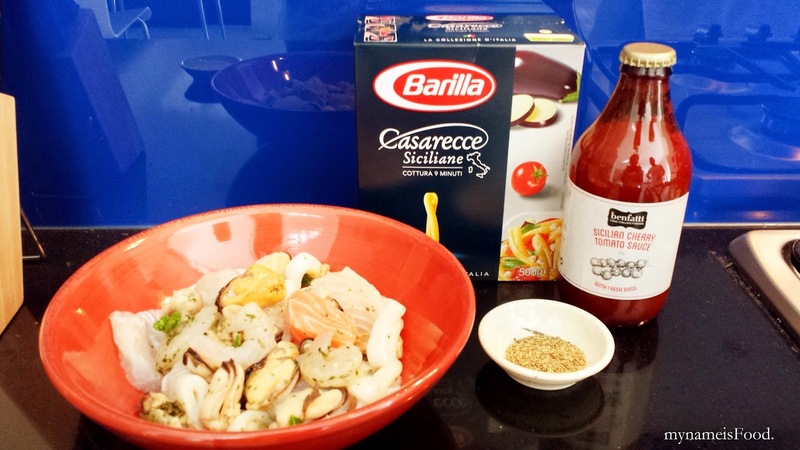 Let me first introduce to you the product, 'Sicialian Cherry Tomato Sauce' ($6.5) is a ready made sauce with no sugar, no preservatives, gluten free and dairy free. The cherry tomatoes are farmed by the Santo family in which within only 24 hours from picking, they cook down their ripe cherry tomatoes along with their family grown basil and a splash of extra virgin oil and also, a pinch of sea salt. Simple? Yes, it is you might say. May you call it, homemade? I would.. I tried a bit of the sauce before I cooked it and it just reminded me of home grown cherry tomatoes. 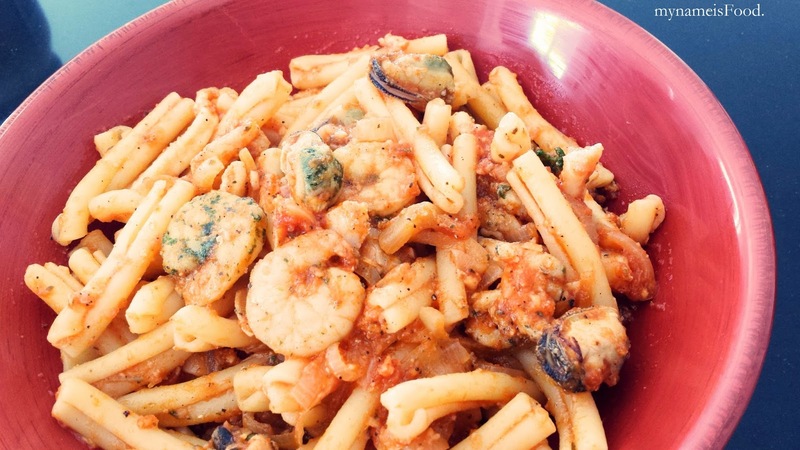 The taste of it isn't as acidic or as strong as the tomato pasta sauce you may have bought from supermarkets or so, but it still has that distinct sweet tomato flavour and rich aroma. To be honest, I'm not too good with recipes. Why? Because I usually personalise them myself. Although when I am really into trying to create something from the recipe thoroughly, then yes, maybe I'm a recipe-follower. If not, then I don't really use a recipe when I cook or when I create dishes, even when I read from a cookbook, I somehow manage to change it a tad. So please do understand if some of these ingredients are ambiguous or such in measurements. Though it may be a simple dish, but as I always have said, the simplicity in things may just be what you need, want and will be able to appreciate. Adding too much of this and that, may just ruin the uniqueness, the taste of the sauce. You never want to kill the taste of something that is delicious just by itself, a simple dish goes a long way into your belly. 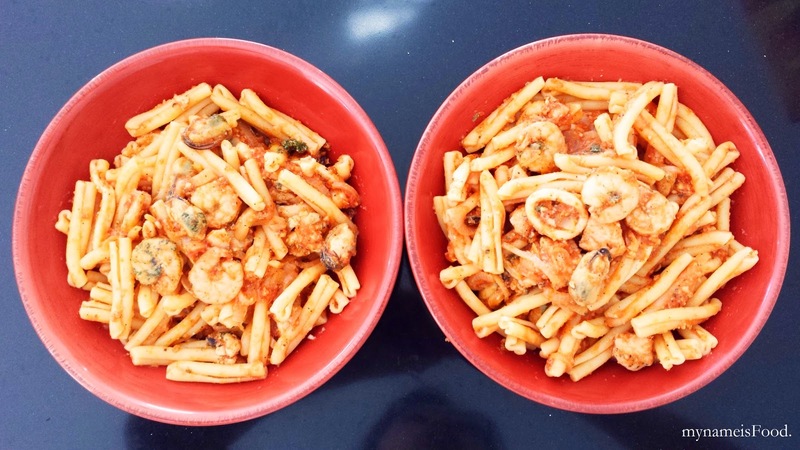 * The Sicilian Cherry Tomato Sauce was provided by Benfatti Fine Italian Foods to cook with and try, all opinions and reviews are all my own.